It's a cage dryer. CageMaster® Plus is the safest way to "cage dry" your dogs quickly and thoroughly. 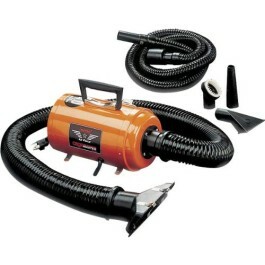 The powerful 4.0 peak horsepower motor generates a high volume of warm air (see specs table) But even more important the six foot drying hose is extra large in diameter, a full 2 1/2" so it can carry a gale force air into cages. And because there is no heating element (often found on other cage dryers), CageMaster® Plus won't overheat or dehydrate your dog. There's no hot air to injure a dog's scalp or coat. And for added safety our deluxe model features a 15 minute timer. When the time is up it'll turn itself off. CageMaster® Plus is constructed of durable steel, so it can take all the punishment you dish out. Just hook it onto the cage and it does all the work. BONUS: It's a forced air dryer too. 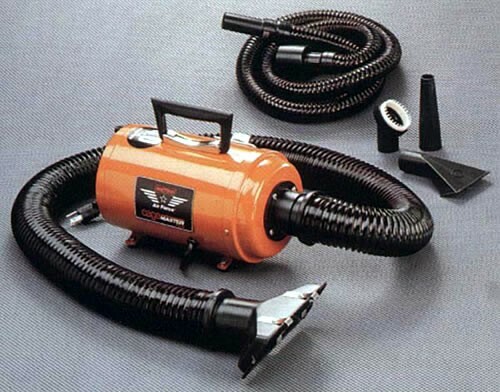 CageMaster® Plus easily converts into a forced air dryer, for all your drying needs. 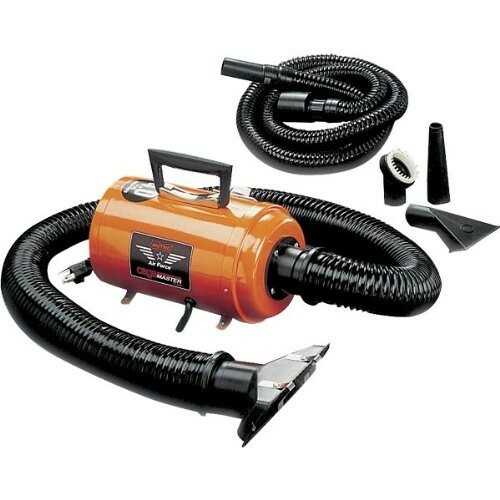 Its powerful motor and 6 ft x 1 1/4" diameter hose delivers a high velocity air stream that blows water quickly off the thickest wettest coats cutting down on grooming time by a much as two thirds.